Designed for compact, low-profile and high accuracy applications, the 4000 Series stages use cross-roller bearings and precision G0 ballscrews mounted to one side. Travel range is 25 to 200mm. This design allows the mounting of high accuracy linear scales, protected, within the stage assembly, on the side opposite the ballscrew. The ratio of base thickness to stage envelope ensures a superior trajectory performance. Limit and datum switches are also integrated within the stage. 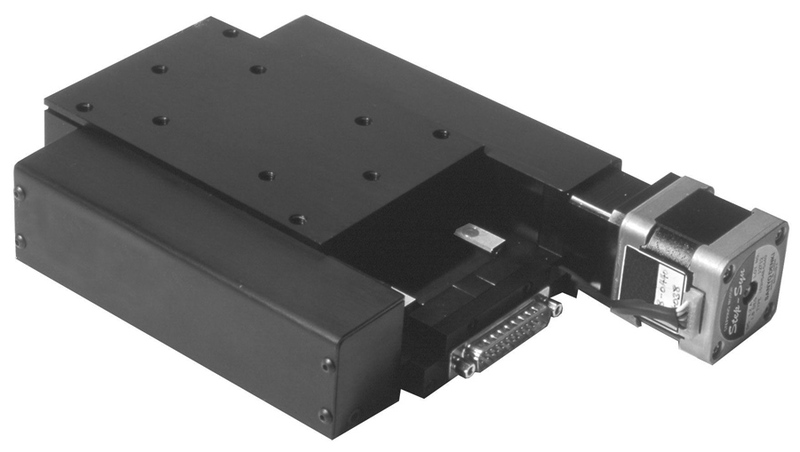 High resolution stepping motors or servo motors are mounted to an adaptable motor mount assembly. All connections are securely made through a single 25 way D connector.